Hawaii is complete with natural beauty and breathtaking views between its six major islands that include Kauai, Oahu, Molokai, Lanai, Maui, and Hawaii Island, but it’s also home spectacular spooky fun times come Halloween season. Between its haunted hiking trails, haunted plantations, pineapple garden mazes, and other haunt attractions, there’s much to explore! 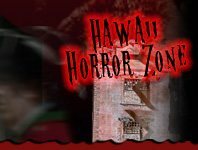 HawaiiHauntedHouses.com is just the place to find out about the Island’s Haunted Hay Rides, Haunted Houses, Haunted Mazes, Spook Walks & Trails, Escape Games, and much more for some Halloween season fun!